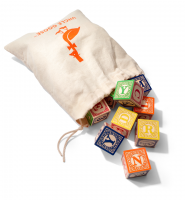 Skipper is a British brand which has been making hand made wooden toys for over 20 years. Best known for its iconic pond yachts, the range now includes classic children ride-ons. Skipper toys have expanded into a supplier of many traditional wooden toys that are as relevant to today's children as they were when first introduced many years ago. By constantly adding to their selections, their wooden yachts and ride 'n' roll toys are up to date and enjoyed every day by thousands of children all over the UK. Skipper promotes traditional play patterns, engaging children in imaginative and creative activity whilst enhancing social interaction. Skipper's range of ride-ons and heritage toys encapsulate traditional values which appeal to parents and grandparents whilst entertaining children. Ride 'n' Rolls are an exciting way for children to get around. A friendly ride-on toy which is sure to make any child smile. From dogs to bumper cars - choose from eight different fun designs. Made from wood and extremely comfortable memory foam, children will want to play with this for hours on end. The base is made from top quality plywood with a tough rounded edge. The bodies are soft for a comfortable safe ride on a memory foam seat and the covers are made from vinyl that can be wiped clean with a damp cloth. 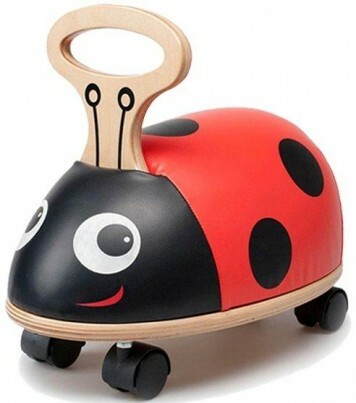 The handles have soft grips and the wheels are omni-directional making the toy spin and twist for ultimate fun. The seat is angled forwards so your little one is secure in the riding position. What little boys and girls wouldn't have fun with a wooden farm of Ride 'n' Rolls? We endeavor to get products out to you within 7 days but if you need something that little bit quicker please let us know by emailing us through the message system. All products are non refundable unless the tem is faulty.